Goodreads says, "It’s the dubious distinction of thirty-year-old Willa Jackson to hail from a fine old Southern family of means that met with financial ruin generations ago. The Blue Ridge Madam—built by Willa’s great-great-grandfather during Walls of Water’s heyday, and once the town’s grandest home—has stood for years as a lonely monument to misfortune and scandal. And Willa herself has long strived to build a life beyond the brooding Jackson family shadow. No easy task in a town shaped by years of tradition and the well-marked boundaries of the haves and have-nots. But Willa has lately learned that an old classmate—socialite do-gooder Paxton Osgood—of the very prominent Osgood family, has restored the Blue Ridge Madam to her former glory, with plans to open a top-flight inn. Maybe, at last, the troubled past can be laid to rest while something new and wonderful rises from its ashes. But what rises instead is a skeleton, found buried beneath the property’s lone peach tree, and certain to drag up dire consequences along with it." Willa Jackson's family used to be one of the most prominent families in Walls of Water, North Carolina until one day their family experiences misfortune and scandal. Unfortunately, they lost their house, The Blue Ridge Madam, which happens to be the largest and most grand house in town. 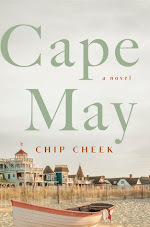 Many years later, Willa is trying to move with her life that is until Paxton Osgood, a socialite, contacts her since the Osgood family is renovating The Blue Ridge Madam. Willa could care less about Paxton and the renovation until they find a skeleton buried in front of the house under the peach tree. Since it involves Willa's ancestors, she reluctantly gets involved and befriends Paxton in the process as both girls try to find out the secrets that happened many years ago in Walls of Water. Sarah Addison Allen's The Peach Keeper is a magical tale that completely swept me away. This is the first novel I've read by Allen and I was extremely captivated. 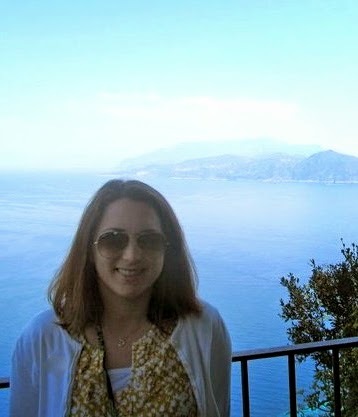 I loved her writing style; it was delicious! I enjoyed being transported to Walls of Water and was taken back by the mystery. Allen includes hints of magic throughout the novel which I wasn't expecting, but thoroughly enjoyed. Thanks to Allen's talent as a writer, I couldn't have asked for a better book to read while vacationing at the beach. The mystery in The Peach Keeper was engaging. I liked all the twists and turns and how both Willa and Paxton's pasts were intertwined thanks to their grandmothers' friendships. This was a nice touch by Allen and I enjoyed that aspect of the novel as they tried to uncover past family secrets. 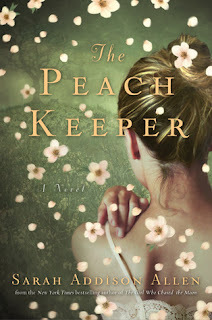 If you are looking for a delightful read that has hints of magic, a great mystery, an unlikely friendship and a budding romance, you must check out The Peach Keeper this summer. As for me, I am now a fan of Sarah Addison Allen and plan on checking out some of her other novels as well. This is your first SAA? You must try Sugar Queen next. Yes! Sugar Queen is a must if you enjoy Sarah Allen Addison. SQ is my most favorite novel of hers. It is so charming and like all her books they make you so hungry. This was my first book by Sarah Allen Addison. I really enjoyed it. Fab review. I like the touch of magic and the characters. Sarah Addison Allen is a fantastic author, I agree Sugar Queen is also my favourite of hers although Garden Spells is a close second! I can't wait to read this one though but I am having trouble finding it in the UK! Thanks for checking out my review, guys! I'll be sure to pick up Sugar Queen and Garden Spells. Thanks for the suggestions! Your review has me dying to read this as soon as possibl! Lucky I bought a copy not long ago :) it'll be my first of this author's as well, even though I own a couple of her other books too. Whilst I liked this book, it was actually my least favourite SAA! You have such a treat in store if you go back to read her earlier books!